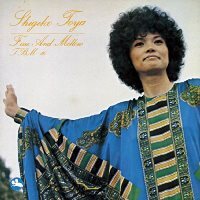 Fine And Mellow is the second album the Japanese singer Shigeko Toya recorded for Three Blind Mice. Surrounded by great jazz musicians including Masaru Imada on piano and Masayuki Takayanagi on guitar, Toya shows her soulful and bluesy style. Highlights include her passionate rendition of the title track made famous by Billie Holiday. Produced by Takeshi Fujii. Recorded at Aoi Studio, Tokyo on May 17, 18 and 24, 1973. Blu-spec CD is compatible with all regular CD players. Paper sleeve special limited edition.